Well. Today is Pantomime‘s US release date. I am now a published author. It’s so surreal. 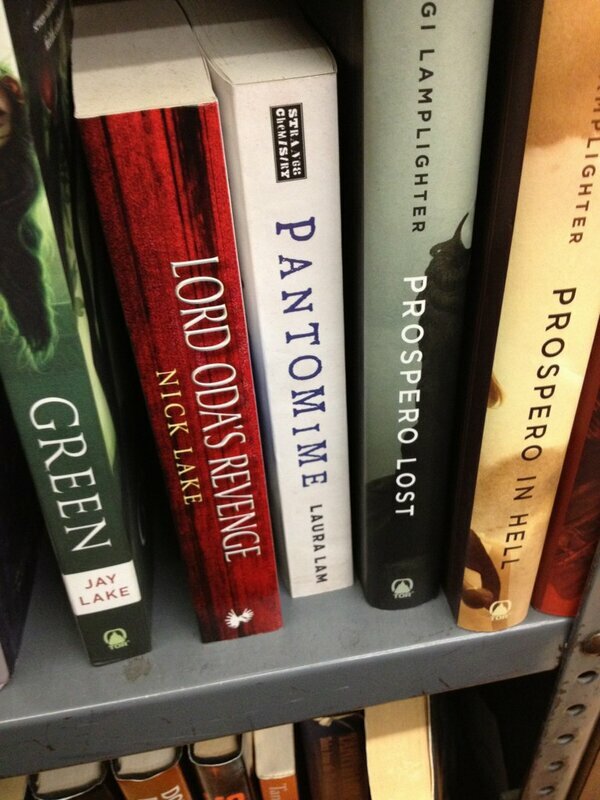 I woke up this morning and when I checked my phone, Caroline Hooton had tweeted me this photo of Pantomime in the Strand Bookstore in New York. 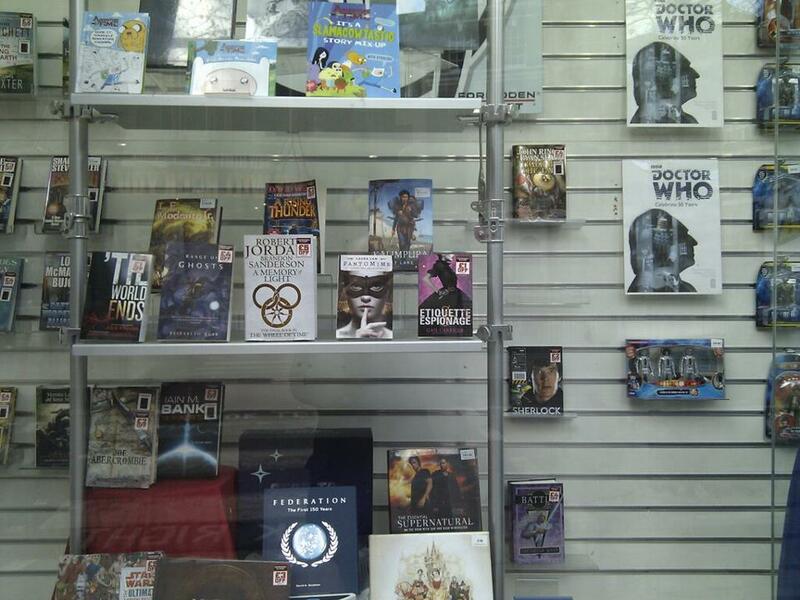 Pantomime hanging out next to The Wheel of Time, Gail Carriger, and other famous people/franchises. I was absolutely floored! All productivity went out the window. 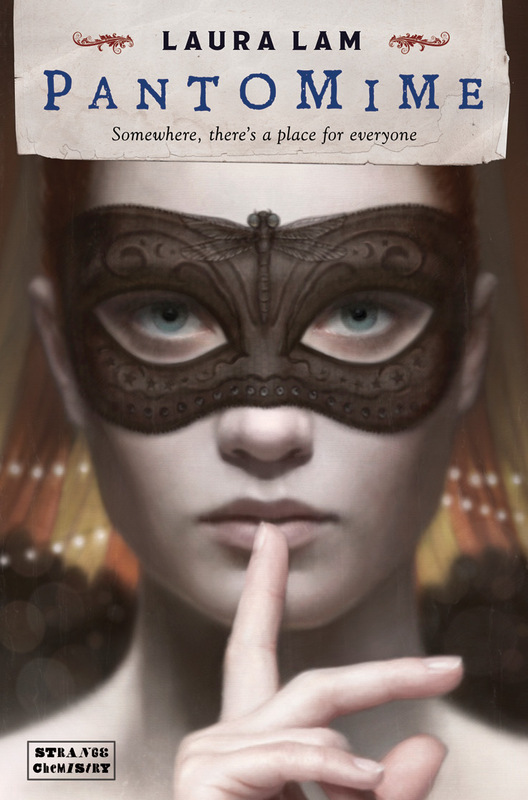 Sunday was also amazing because Magickedteacup left a comment on the Pantomime Blog Tour Post saying that they had written a waltz based on Pantomime! Again, I was so touched and amazed. I’m going to send Teacup a signed copy of Pantomime as a thank you, because how often does someone get fan music, and such gorgeous music at that? Monday continued to be surreal. At lunchtime I went to the local Waterstones where I’ll be having my Aberdeen launch, and I made a beeline for the L section of teen books. 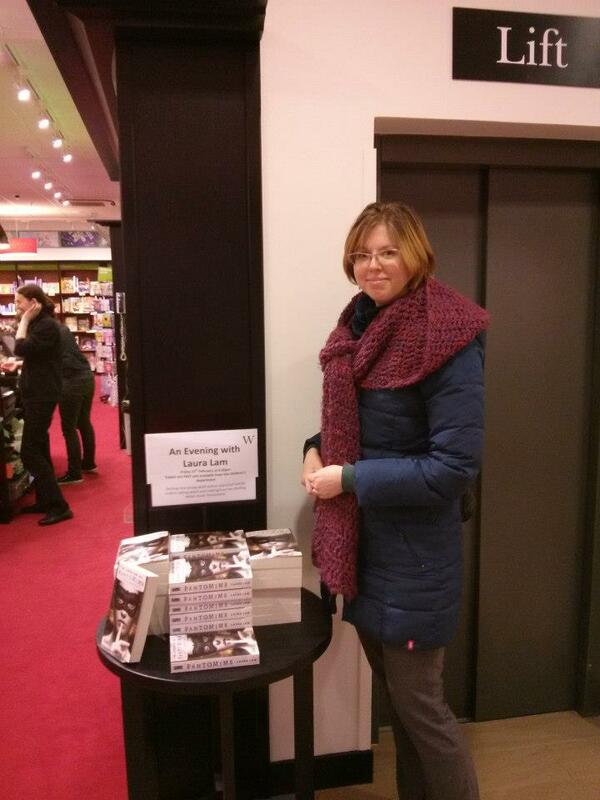 And wahey–I was face out and there were SIX copies! I was so pleased. …And then I stood up, turned around, and saw the table display. My mouth dropped open comically. So here we are. Tomorrow night I’ll be flying down to London for my Forbidden Planet Launch on Thursday. 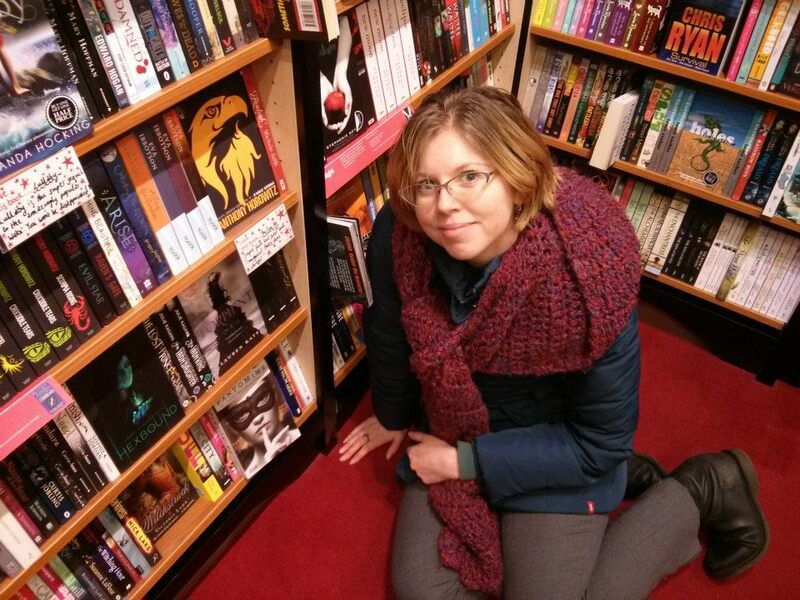 I’m out there in the US officially, and a few UK bookstores have me out already. And now, my sales pitchy stuff, where hopefully I convince you to buy my book! Amazon US, Amazon UK, Barnes and Noble, The Book Depository, Waterstones, or see if your local independent has Pantomime or can order it in for you. DRM-free on the Robot Trading Company, which means you can buy straight from the publisher. Also: Amazon UK & Amazon US. 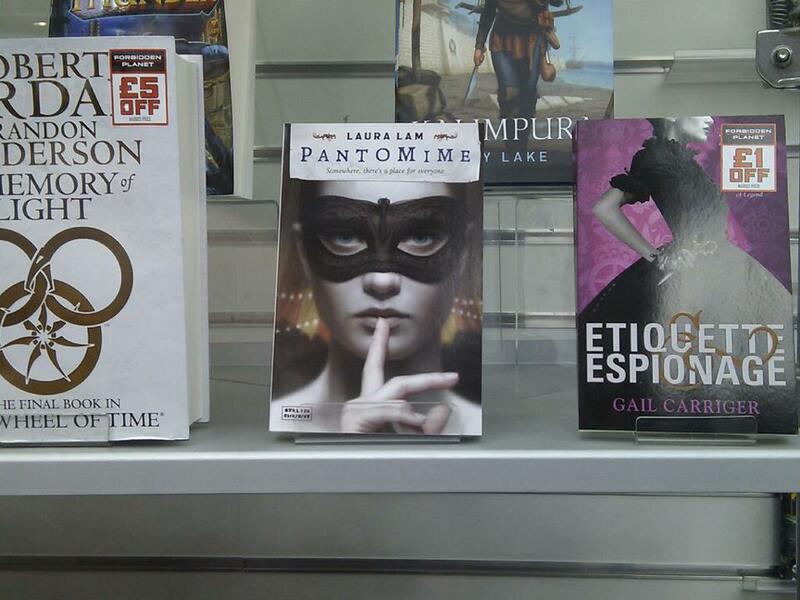 Strange Chemistry is also holding a contest to capture photos of Pantomime out in the wild to win more books! For details, click here. – Bryony Pearce, author of Angel’s Fury. Congratulations. I know this is going to bring great things for you. Hiya, I’m from AW (I have a horse outside there) and I just wanted to say massive CONGRATULATIONS! If I spot Pantomime anywhere (I’m in Co Wexford in Ireland), pictures will happen. Congrats Laura! I am in the middle of Pantomime right now and it is AMAZING!! I can’t wait to review it. Thanks, Jamie. I’m sure you will! So happy for you, Laura! Can’t wait to read PANTOMIME! Thanks, John, and a huge congrats to you as well! Oh! Oh! Just finished Pantomime and loved it. I saw it off of your BigIdea post on John Scalzi’s site and and couldn’t put it down. What a great book! But now I feel this desperate need to know what happens next — Are there plans for a sequal or is this all we get for now from that wonderful world?